Traveling to the Caymans any time soon? 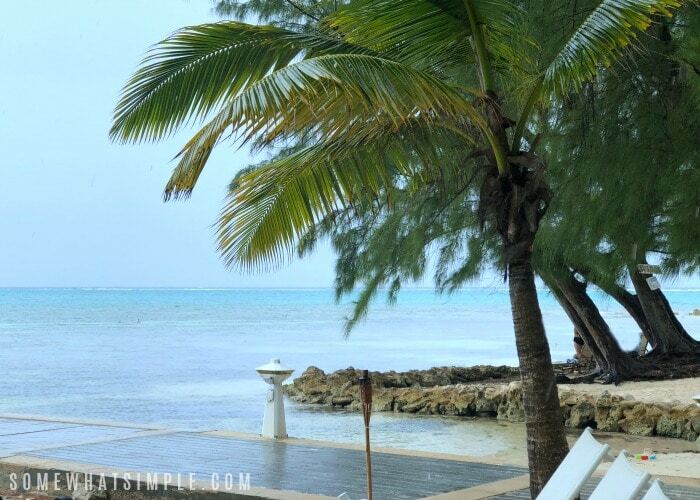 Here is a list of our favorite things to do in the Cayman Islands. 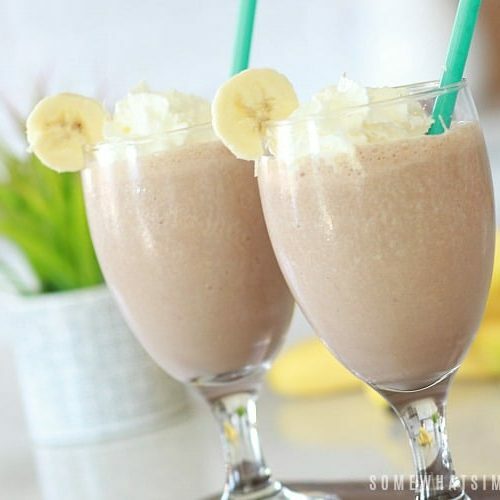 Now that you’ve arrived in port, it’s time put down the Dirty Monkey mocktail and enjoy everything that Grand Cayman has to offer. For my husband’s 40th birthday, I gave him a Surprise Vacation on a Caribbean cruise. 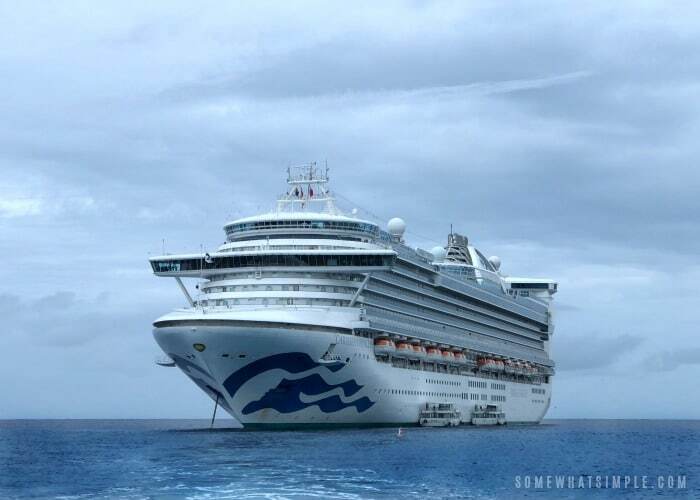 We visited several ports in the Western Caribbean with Princess Cruises. We absolutely LOVED our itinerary, and the excursions we booked were amazing! 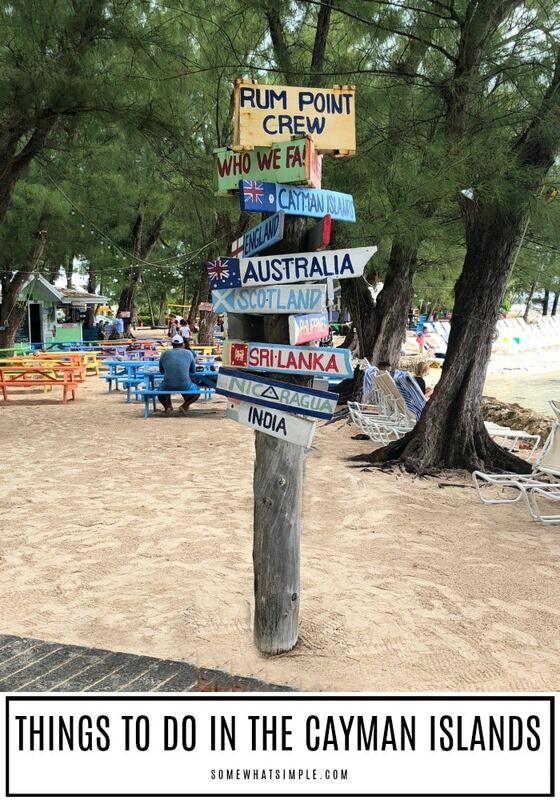 Our first stop of the week was to Grand Cayman Island. 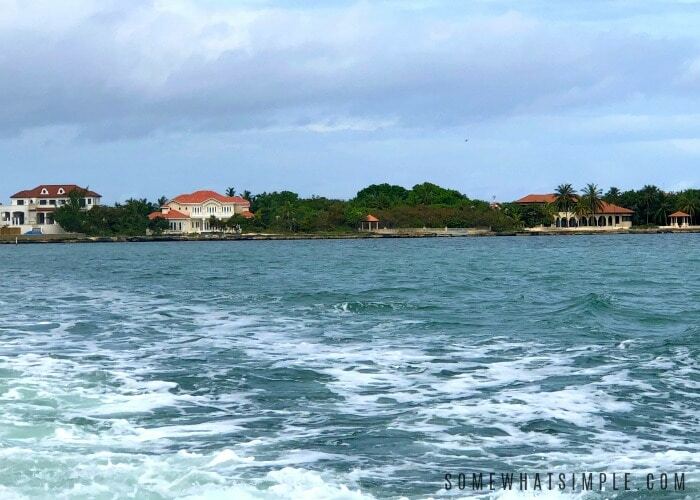 This was our second time visiting this gorgeous part of the Caribbean, and it was so much fun! The Caymans are a Caribbean paradise with white-sand beaches and warm waters containing coral gardens and spectacular shipwrecks. If you are planning to travel to the Cayman Islands, here is a list of things to do and things to see. 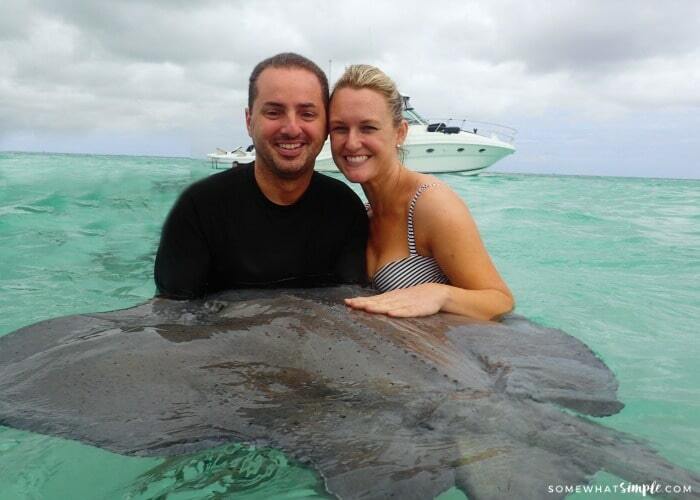 Top on my list of things to do in the Cayman Islands is the amazing Stingray Sandbar! My husband did this exact excursion with his brothers years ago, and this time around he insisted we do it together. I am SO GLAD we did! These two stingray sites in the Cayman Islands are gorgeous, and they offer an opportunity to interact with friendly rays. I loved that this particular excursion offered a little bit of everything – beautiful island sights, exciting sea life, tasty local cuisine, picturesque photo stops and the opportunity to interact and feed dozens of friendly southern stingrays. We boarded a small fishing boat and sailed about 30 minutes in the blue waters to the Stingray Sandbar. Once there, we swam in the shallow waters with dozens of stingrays, feeding them and posing for pictures. After the sand bar portion, we headed out to the open waters of Barrier Reef for a fun snorkel experience among colorful tropical fish. 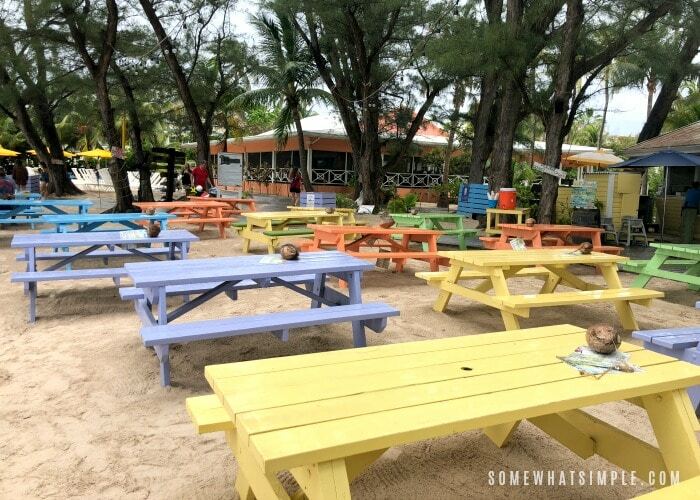 Before heading back to our port, we hit the beach for a delicious lunch at Rum Point. The day was completely unforgettable! If you’re looking to see the city with a little less walking, consider booking the Trolley Roger Train. For about $25 you can sit back and relax as you travel around the city and learn about the city’s colorful history. There is time at the end of the tour for some sightseeing on your own and, of course, some shopping. 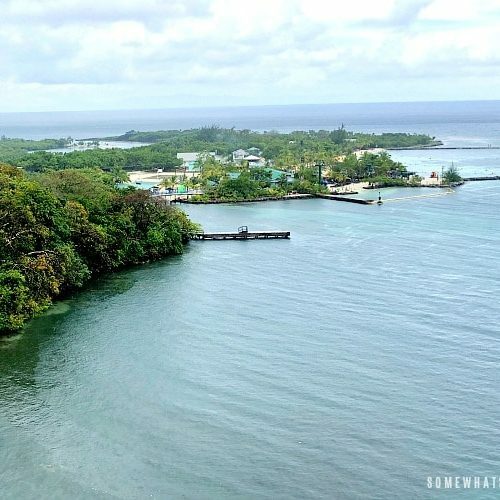 This popular tourist attraction is a group of short, black limestone formations in the northwest town of West Bay. Travelers from all over the world with their passports in-hand visit Hell’s post office just to get a stamp proving they had literally been to Hell. Tours to Hell and back are available by shuttle service or via a scenic bike ride and usually offer a stop along the beach or to the Turtle Farm. When Columbus made his landfall in the Caymans in 1503, he found tortoises and sea turtles in such high numbers that he actually named the islands Las Tortugas. The world-famous Cayman Turtle Farm is a 23-acre adventure marine park with green sea turtles ranging from hand-size newborns to 600-plus-pound adults. A must-do for experienced divers and novice snorkelers alike. The memories of swimming among graceful stingrays on the sandy seafloor will stay with you forever! For a completely unforgettable experience, I’d suggest finding a tour that includes snorkeling by the USS Kittiwake Sunken Ship. Pure white sand, tranquil turquoise waters dotted with resorts, condos, shops, restaurants and every conceivable water sport, make this one of the top beaches in the world! The best way to see the breathtaking marine life, without getting wet! Sea turtles, sharks, stingrays and a large variety of tropical fish, all experienced through the large, photo-friendly portholes. During a storm in 1794, ten vessels quickly became shipwrecks in Grand Cayman’s dangerous East End reef. A memorial honors both the rescuers and the eight fallen crew. Get up close and personal with the dolphins of Dolphin Cove. This fun and educational excursion allows you to pet, kiss and swim with a dolphin, offering a great experience the whole family can enjoy. Get a birds-eye view of the Seven Mile Beach as you fly over the turquoise waters of the North Sound. Enjoy the flight as you circle the sandbar at Stingray City where you will watch the stingrays feed and swim among boats and people. 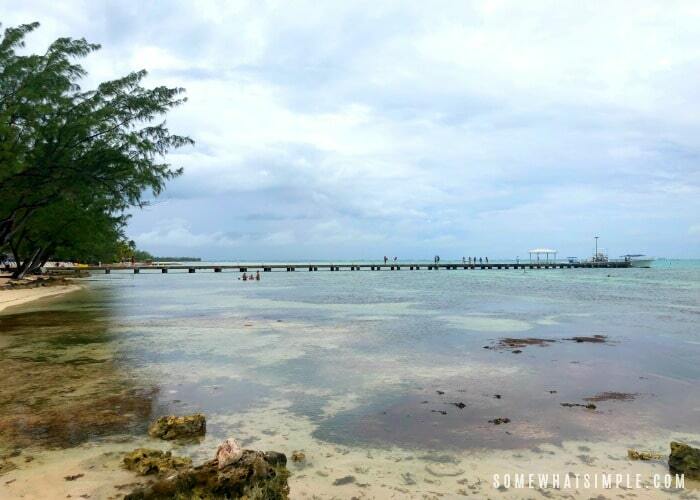 The Cayman Islands was one of our favorite ports of call. 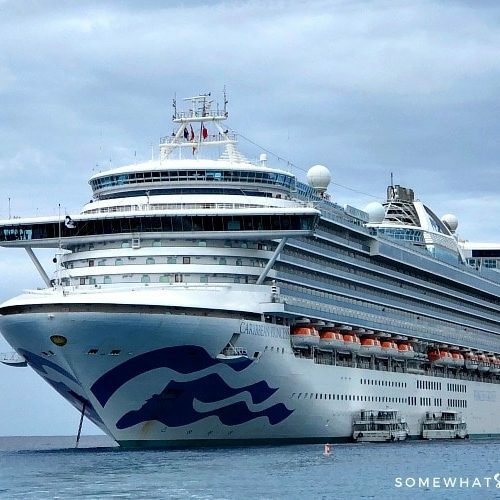 For more information on booking the best Caribbean cruise, and for even more details on all the amazing shore excursions offered, visit PrincessCruises.com.